According to Deadline, Golden Globe-nominated actor Will Ferrell (Blades of Glory, Daddy’s Home) has signed on to star in Amazon Studios’ forthcoming Prince of Fashion with Academy Award-nominated director Gus Van Sant set to adapt and helm the film. Prince of Fashion is based on the popular GQ article “My Son, The Prince of Fashion”, written by Pulitzer Prize-winner Michael Chabon. The article piece tells the story of the time when Chabon attended Paris Men’s Fashion Week with his 13-year-old son, where they experienced a week of high-fashion runways. It is a heartwarming story about his son’s passion and interest about the world of fashion. Ferrell and Jessica Elbaum will serve as producers through their Gary Sanchez Productions label along with GoldDay’s Jonathan Goldstein and John Francis Daley. Chabon is best known for his numerous award-winning novels which includes Wonder Boys, Moonglow and The Amazing Adventures of Kavalier & Clay which earned him his first Pulitzer Prize award. He is also one of the writers for tv shows such as Hulu’s Eldorado and Patrick Stewart’s upcoming Star Trek series. 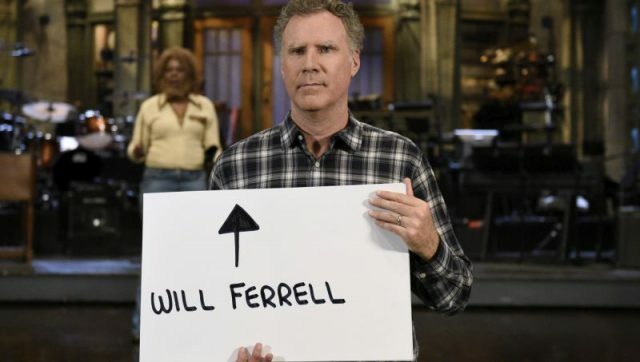 Ferrell best known for his comedic roles in films like Anchorman: The Legend of Ron Burgundy, Bewitched, The Lego Movie and Get Hard. He will next be seen in the upcoming mystery action-comedy Holmes & Watson alongside frequent acting partner John C. Reilly (Kong: Skull Island), which is set to hit theaters on December 25.